Male companion of the last year's edition for women Prada Infusion d'Iris, which was also inspired by this version, was created in cooperation with perfumer of the house of Givaudan - Daniela Andrier. It will be presented on Sunday, June 22nd in Milan, at fashion show ready to wear, aimed at male population. 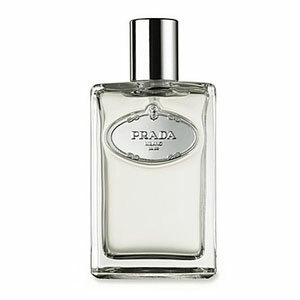 The perfume Infusion d'Homme includes notes of neroli from Tunisia, iris palida, vetiver, cedar, incense and benzoin. Daniela Andrier worked on this composition for years, trying to achieve harmony between style of the house of Prada and balance of the composition. Just like the version for women, this bottle was designed of heavy, transparent glass, as a modern interpretation of vintage perfumes decanters. The collection with the fragrancy note of Infusion d'Homme includes bottles in five sizes: 50, 100, 200, 400, 750 ml EDT. Accompanying program of the fragrancy collection includes 100 ml aftershave, 100ml aftershave balsam, 250 ml bath and a package of soap. Infusion d`Homme was launched in 2008. The nose behind this fragrance is Daniela Roche-Andrier.